Los Angeles knows a thing or two about facelifts. But even for LA, the renovation of the LAX Tom Bradley International Terminal was a big operation. This project, originally forecast to cost $723.5-million is one of the largest public works projects in the city’s history. 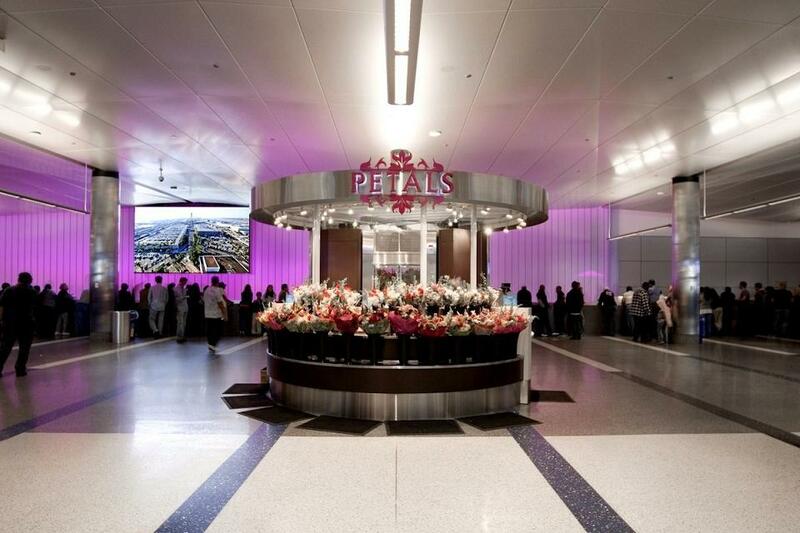 In January of 2007 CNP Signs & Graphics was selected by Los Angeles World Airports and their contractor Clark/McCarthy a Joint Venture to create custom signage for this massive project. For CNP, producing more than 1,200 signs (designed by Hunt Design in Pasadena) for the expanding and revitalized Los Angeles International Airport was the simple part; working in secure zones of one of the busiest airports in the world while installing those signs required a bit more organization. Having worked on many major public works and specialty projects in the past such as Sea World where strict park rules and odd schedules due to the animals limited work schedules, and the LA Metro where workers timed their installations around train schedules, CNP’s professional sign workers know how to be flexible. Working at LAX Tom Bradley International required not only navigating the seventh-busiest airport with all of the post-911 security in place, but also being as quiet as possible while doing that work. Since installation of large, suspended signage is not inherently a quiet task, special care was taken not to affect travelers. Additionally, for Homeland Security purposes, all CNP Signs & Graphics employees working on the project were required to go through extensive background & security checks to work in the secure areas of the airport. 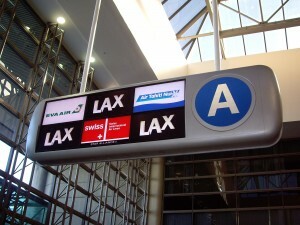 During the renovation, CNP Signs & Graphics worked closely with Los Angeles World Airports and contractor Clark/McCarthy to manufacture and install extremely functional wayfinding signage as well as integrating programmable digital displays into custom cabinets in the Baggage Claim & Ticketing areas. In addition to the primary directional signage, CNP Signs & Graphics was also responsible for the custom retail and restaurant signage in the terminal. Installing different logos of the closely grouped restaurant and retail locations required combining manufacturing procedures to achieve the proper look for each business. This type of project exemplifies CNP Signs & Graphics: A large project that required attention to detail and smart planning. If you’re contemplating reconstruction, let CNP give you a lift on your next public works or specialty project.